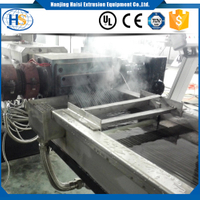 Engineering Plastics Modification of Waste PET Recycling Material - Nanjing Haisi Extrusion Equipment Co., Ltd.
PET polyester mainly contains two types, fiber type and non-fiber type, which are widely used. In the field of production of engineering plastics, PET polyester is used most frequently, mainly in the fields of electronics, electricity, machinery, automobile and so on, as the manufacturing materials pf connection plug-in, automobile windshield, instrument shell and other parts. 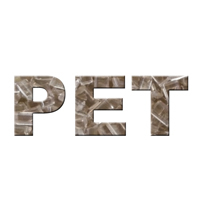 The application of PET in the production of engineering plastics is mainly to improve the crystallization rate of PET so as to improve the processability and impact resistance. PET is a crystalline polymer, once the molecular chain is directional crystallization, it will form a very strong intermolecular binding force. The formation of this kind of binding force will help to strengthen the strength, modulus, heat resistance and other properties of the products, and on this basis to ensure the dimensional stability and transparency of products. The crystallinity of PET, produced by injection molding can not be realized by tensile orientation. The crystallization rate is also slower than that of other polymers. So, how to speed up the crystallization of PET in the practical engineering plastics modification of PET has become the most important problem in the development and progress of the field. 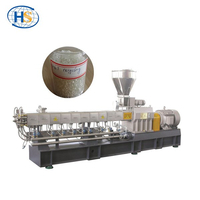 In order to improve the crystallization rate of PET, in essence, the main production means in our country is to ensure that the mold temperature is low, the molding period is short, thus the complete crystallization effect is achieved, and the processing and application properties of the production are improved. In terms of approach, the commonly used method is to add proper amount of nucleating agent to PET during crystallization. Crystalline nucleating agents mainly include the following types: inorganic salts, metal oxides, mineral fillers, monomers, polymers. After high temperature processing, PET products are prone to pyrolysis and hydrolysis, resulting in a decrease in relative molecular weight and mechanical properties. Thus in the work of improving the quality of PET products, it is of great significance to enhance the relative molecular weight. 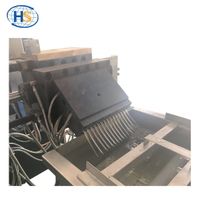 The application of the chemical chain extension reaction method in the melt viscosity increasing procedure can not only make the polyester after production carry on the Polycondensation kettle, melt spinning, screw extrusion and engineering plastic injection molding period to carry on the implementation. It can also shorten the production period of the process, reduce the capital investment of the production equipment, improve the reaction speed at the same time, improve the production efficiency at a certain level, and optimize the applicable performance. Finally, the actual production has been improved in a more convenient direction. Any interest in PET engineering plastic modification, please feel free to contact us!